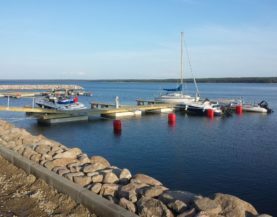 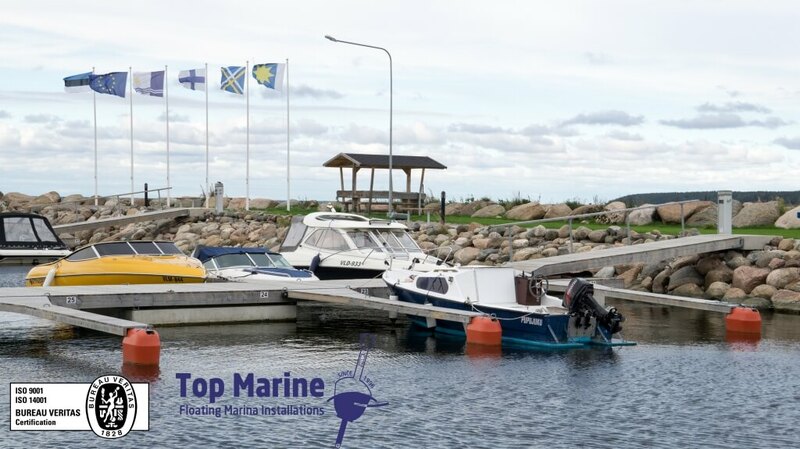 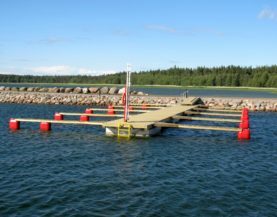 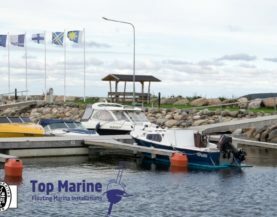 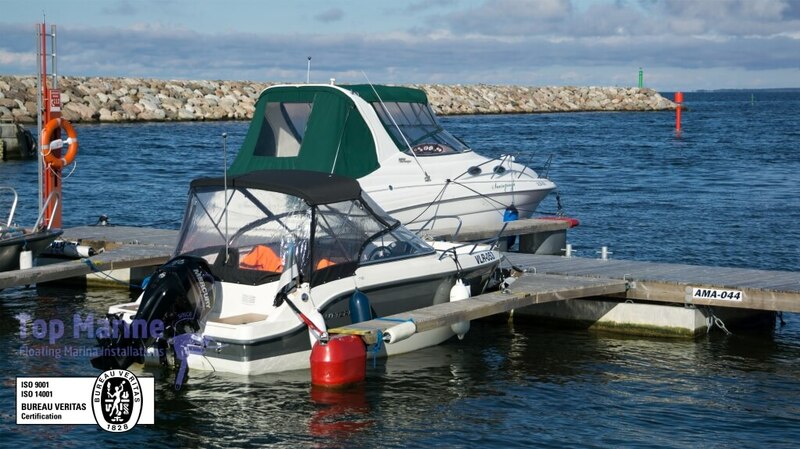 Boat booms are a cheap and secure way to attach small boats in the harbour. 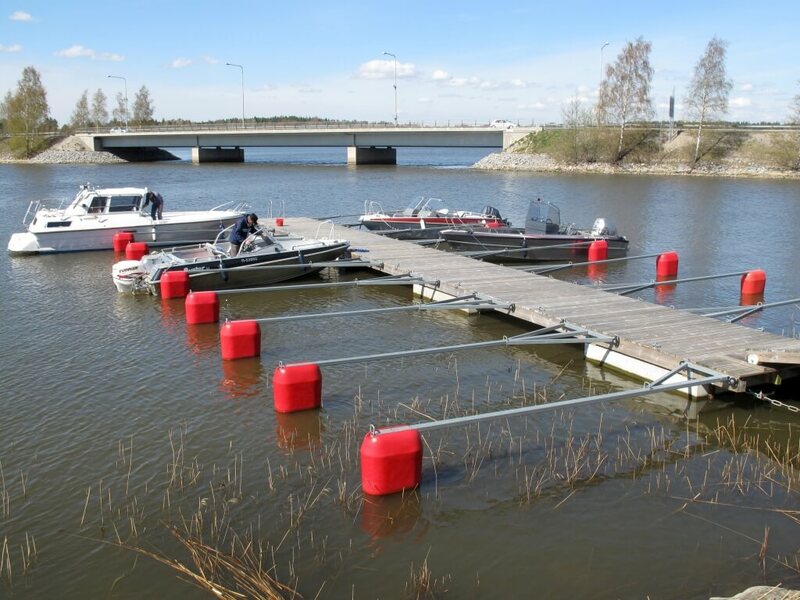 The booms are easy to install and transport, if necessary. 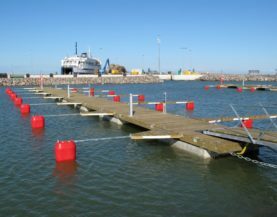 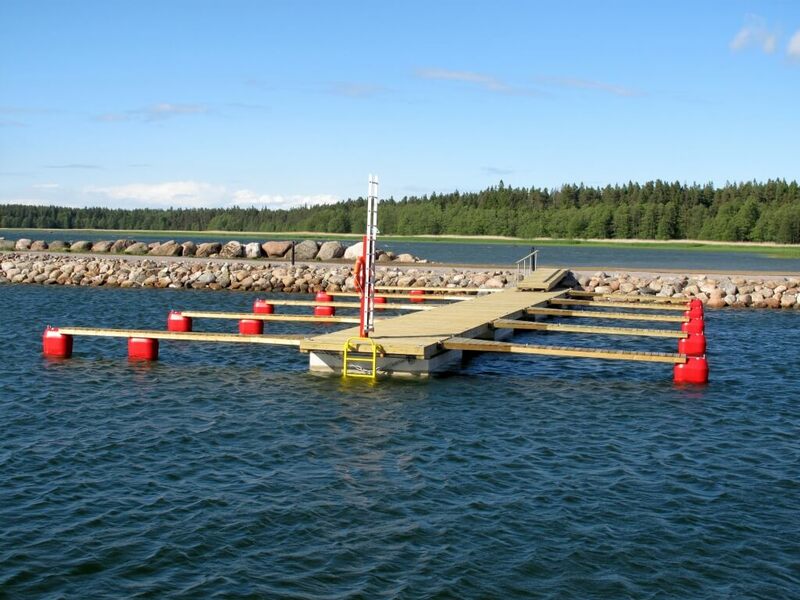 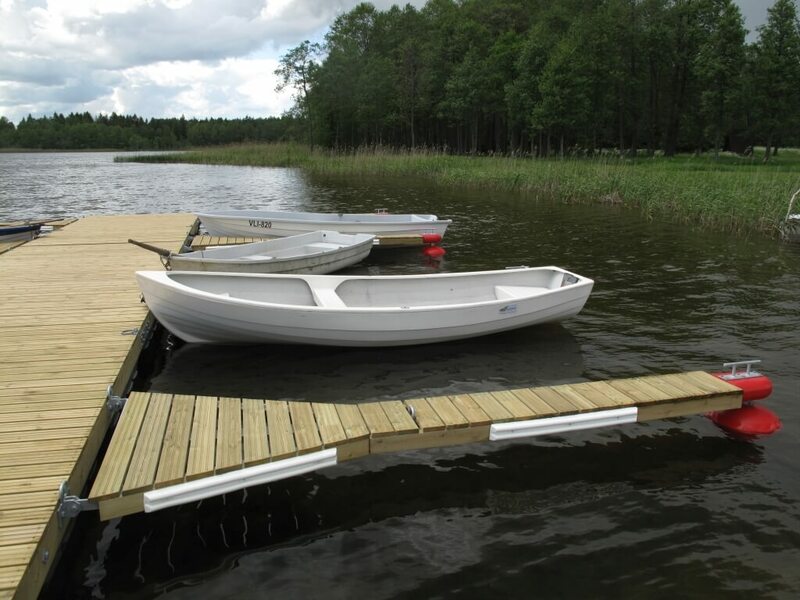 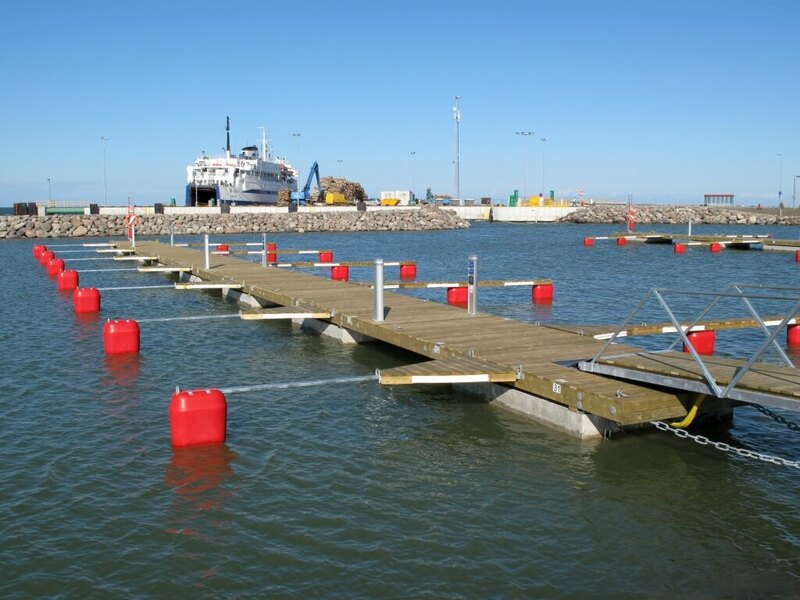 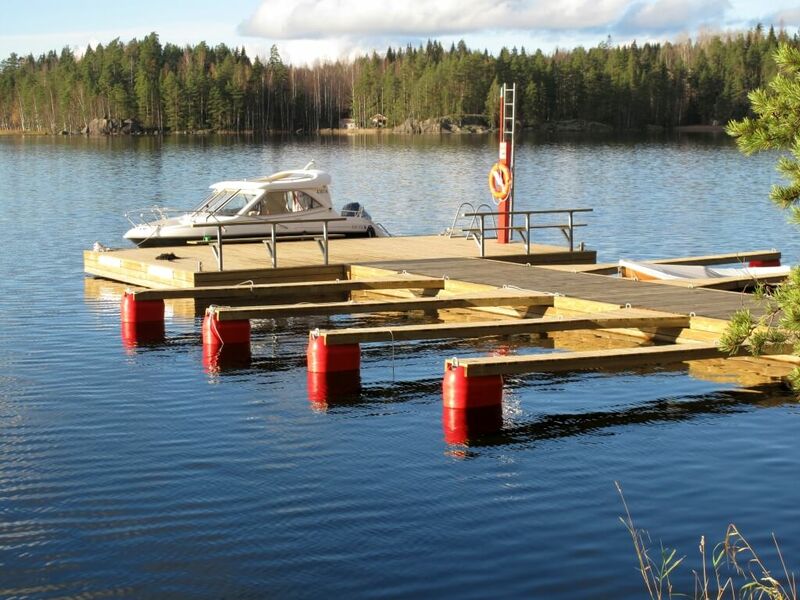 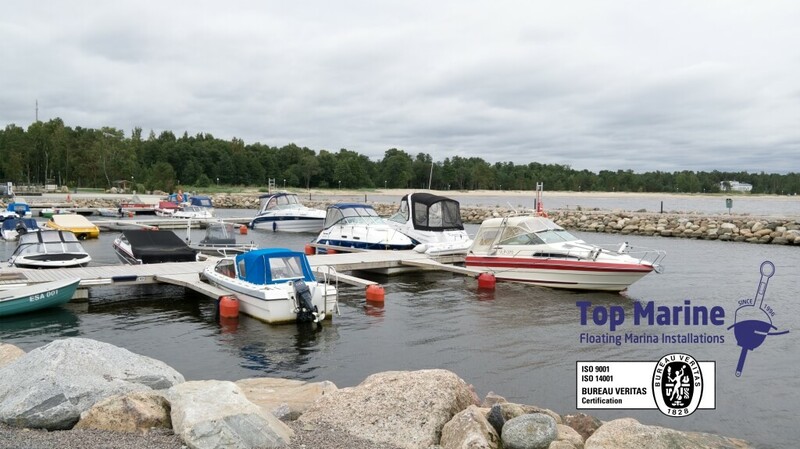 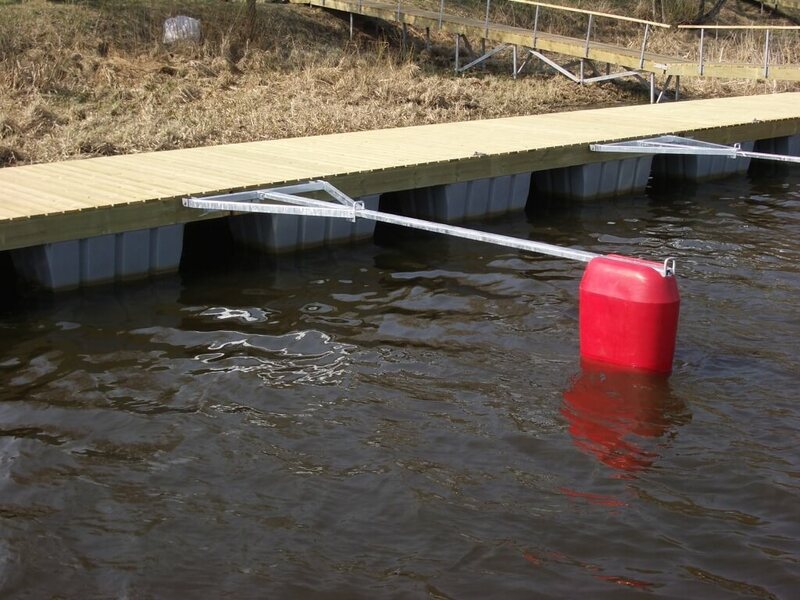 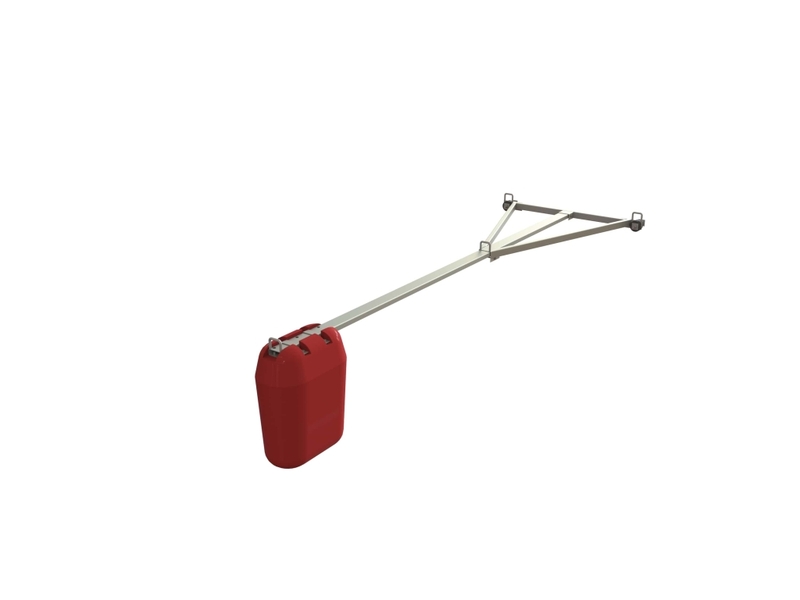 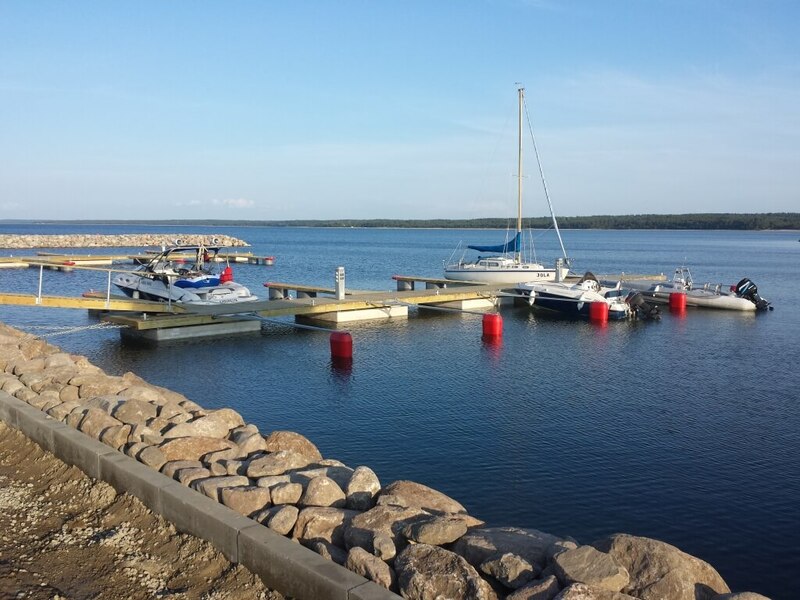 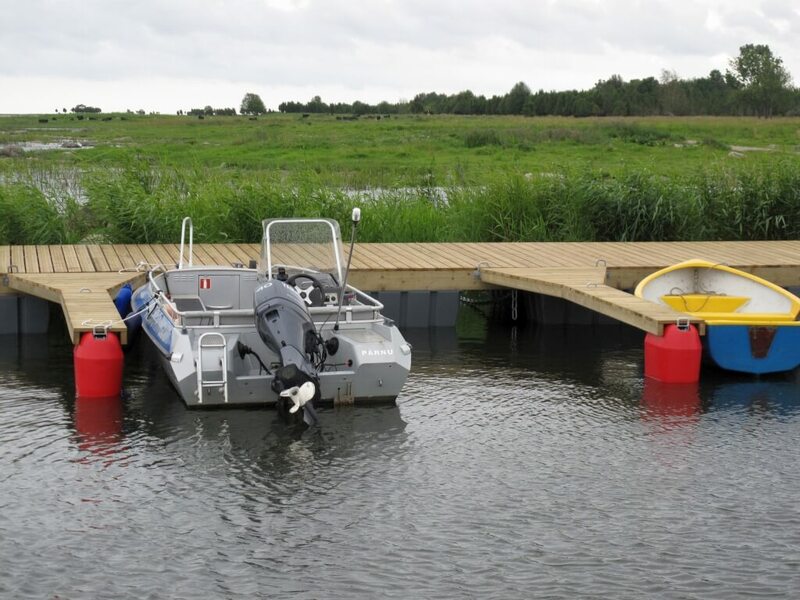 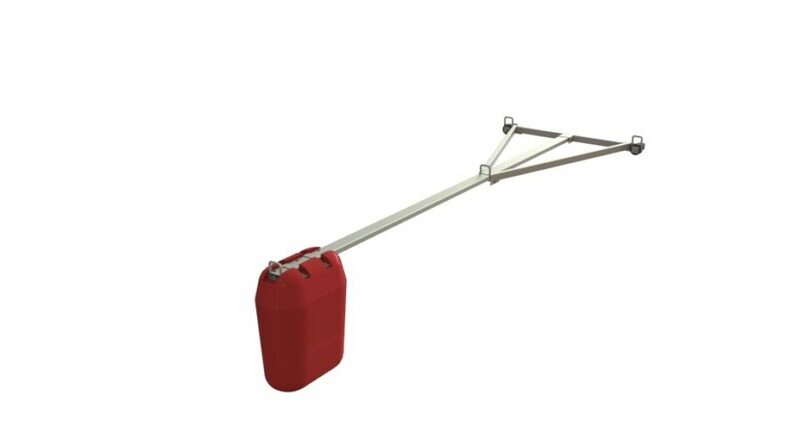 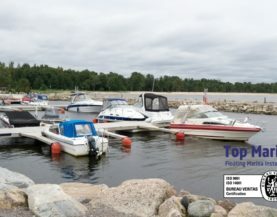 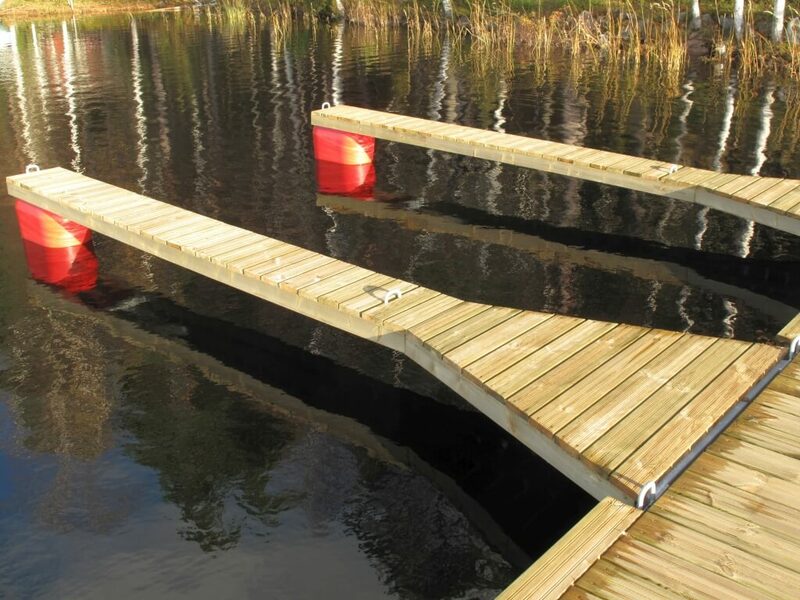 Standard fitted boat boom consists of a strong, hot-dip galvanized metal frame, a plastic float and two mooring rings. 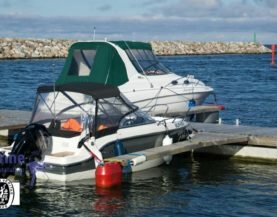 An EPS foam-filled plastic float also functions as as a boom end fender. 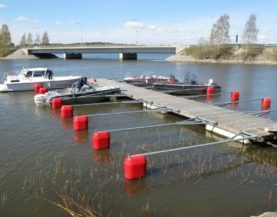 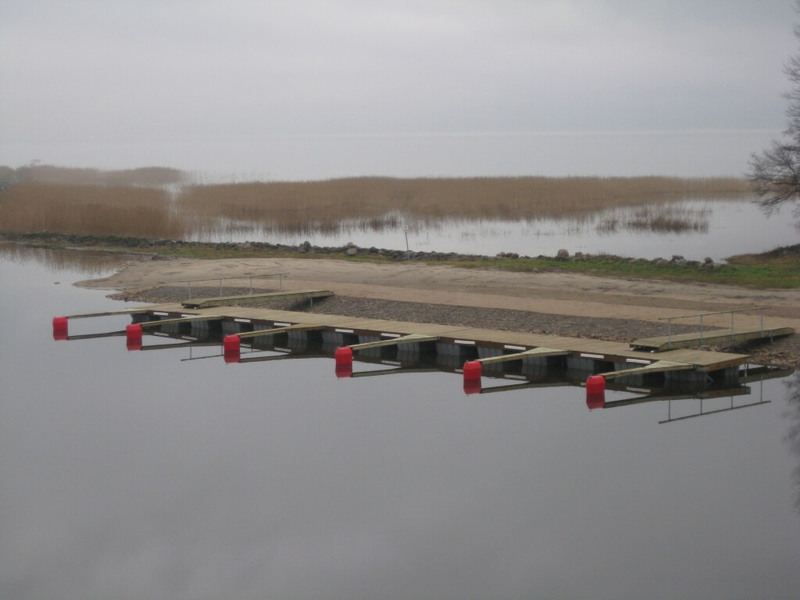 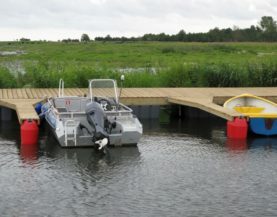 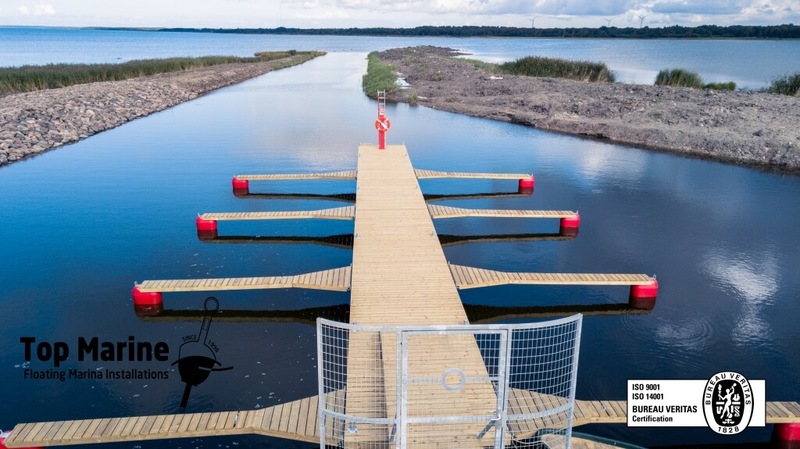 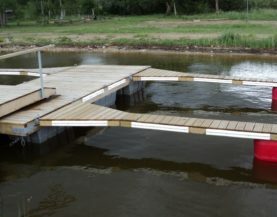 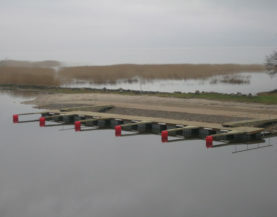 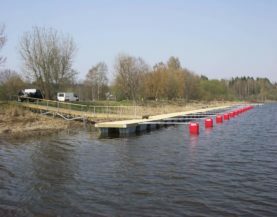 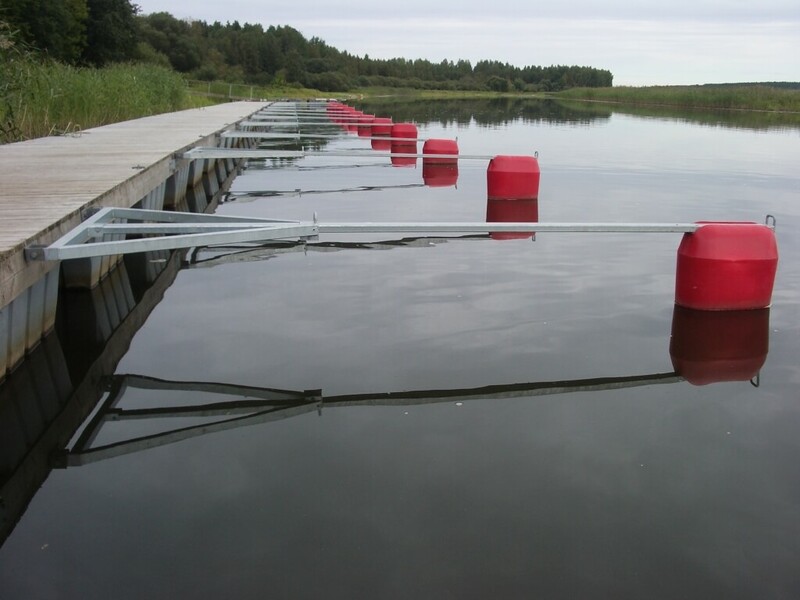 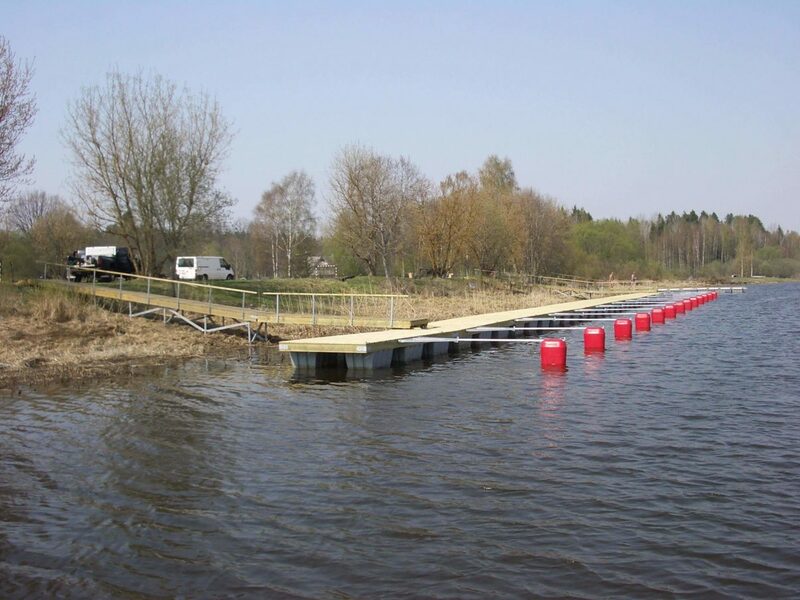 Boat booms are attached to the pontoon with metal hinges or elastic rubber connections. 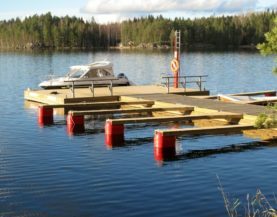 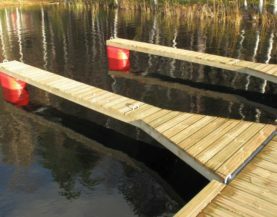 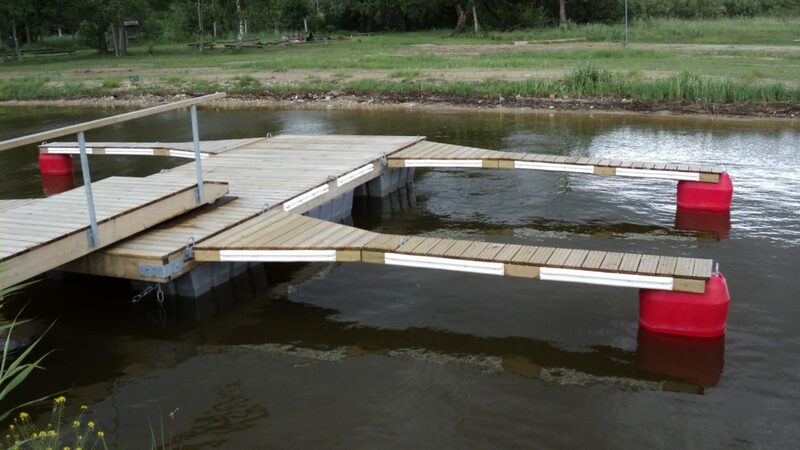 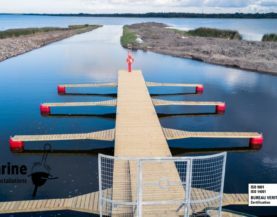 As an accessory, you can order 300 mm wide timber decking, metal rails to change the width of the boat space, and fenders. 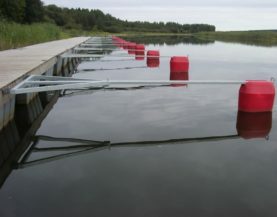 The length of the boom is approximately 2/3 of the length of the vessel.